Integrating numbers and logic, Kakuro is the supreme challenge for puzzlers of all ages. Kakuro is played on grids of various sizes, depending on difficulty, and the object of the game is to make each row add up to the numbers in the coloured boxes at the end of the row using only the numbers 1 - 9. However, you may not use the same number in one row, be it horizontally or vertically. 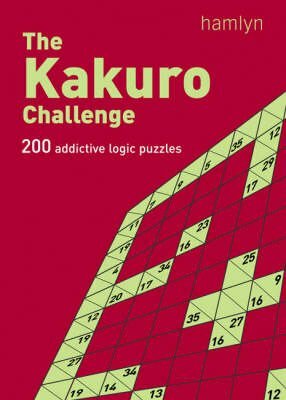 "The Kakuro Challenge" contains 200 puzzles graded from 'Easy' to 'Fiendish', plus tips on how to master them. If you want a new challenge then Kakuro is Sudoku's worthy successor.